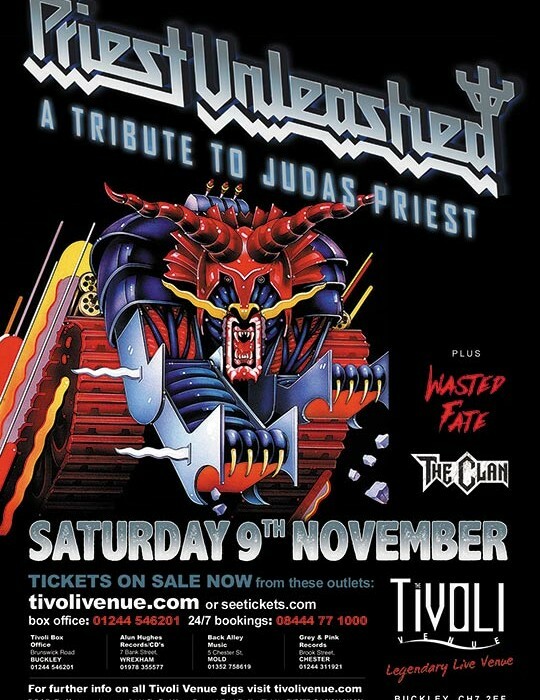 PRIEST UNLEASHED have been going since 2010 and has grown into the full leathery heavy metal show you can see today. 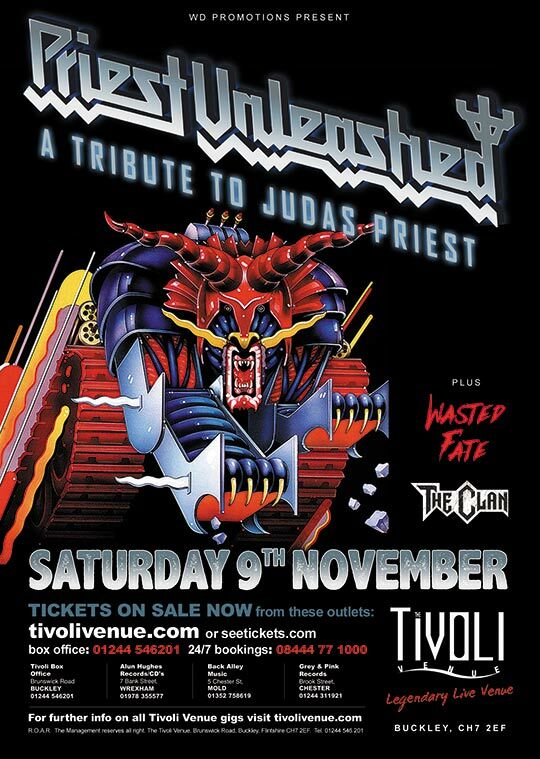 A show made with a selection of songs chosen from the full Priest catalogue, a range of stage costumes, illuminating stage props: Priest Unleashed deliver the most full-on Judas Priest style Heavy Metal show you could wish for, capturing the true essence of a ‘Priest’ show. SKU: PRU_191109. Category: Priest Unleashed Tickets. Tags: Heavy Metal, Judas Priest, Metal, Priest Unleashed, Rock, The Clan, Tribute, Wasted Fate.